We love Sports Marketing. But it’s not easy to stand out in a noisy world. 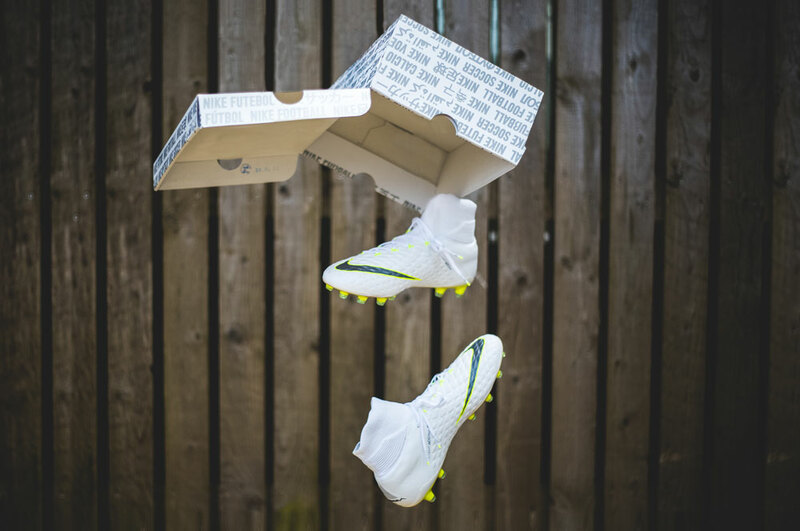 The sports brand giant wanted us to deliver their next generation Phantom VSN boots to football fans of the world. We would be creating our own photography and using the Footy-Boots website and social media platform. We gathered our designers, photographers and marketing professionals and started brainstorming. Expand the potential, promote innovation and share inspiration. Find the right audience and solve their problems. To put it in Nike’s own words, “Nike serves athletes… Billions of them. If you have a body, you are an athlete”. Sounds inspiring and limitless, but how do we imprint this in our visuals? We monitored social media for mentions of the brand, competitors and products. We analysed how and when people interacted. We quickly learnt which platform was more active and what type of visuals were most popular. Based on our findings we created our customer persona. And just like that, we had a targeted audience. Football fans aged between 15 and 25. These are the fans who are the most passionate and insatiable consumers. They access all content straight from their phones. No subscription fees, no waiting for matches or highlights, just instant content. Their online behaviour is shaping a clear path for the next generation of football fans. And we wanted the essence of today’s ‘data at our fingertips’ in our campaign. Nike is an innovator, a trailblazer and an inspiration. We wanted to create a bond between Nike products and the new generation of football fans. Our target audience is most renowned for scrolling through pages of social media. We needed to cut through the noise. We wanted young and passionate fans to relate to our shots. To entice them, we crafted dynamic images and content. We brought them in real life scenarios and embodied movement. Our photography reflected the quick and energetic lifestyle of our young audience. How do you showcase two products in a short video and maintain full attention? The Switch concept came to life when putting together the video with the two types of boots. We integrated our dynamic theme to formulate the compose the visual narrative. We used editing techniques to facilitate flawless switches between the two boots. Our story focused on the player who would switch between “Raised on Concrete’ and ‘Blackout’ boots. At the same time, he would switch between playing on his own or with friends. There’s something attractive about glaring into a visual content without having to read it. Perhaps this is the reason why video content is the most popular socially. We built up the hype for the product by sharing teasing videos leading up to the launch. We then followed up with the images we crafted. This activity has given us enough content and online presence to get our audience engaged and eager for the next release. Who says you can only measure your success rate by sales volume? When your campaign goals are informative rather than commercial, measuring success is a joy. Our page views doubled and page likes improved by 25%. A good day at the office for everyone.